Best Linux Reseller hosting with cPanel / WHM reseller control panel. Equipped with Dual Quad-Core Xeon Servers and Highly Redundant n+2 Infrastructure. Well known for security and stability, Linux reseller hosting offers incredible support for many free and open source applications. Do you want to make money out of ever profitable web hosting business or looking to start your own web hosting business? Brainpulse’s Linux reseller hosting plans will give you full freedom to do so. Launch your own range of hosting plans today with our reseller program. 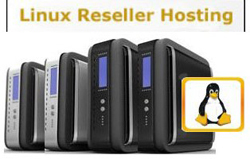 With our Linux reseller hosting plans, you can access all your clients using a single interface. You can also host numerous domains under one large domain. Moreover, Linux reseller plans are backed by cPanel / Plesk web-hosting control panels to give clients full control on their hosting accounts. We reiterate- Our Linux reseller hosting plan is your own window of great earnings. You can run your hosting business the way you want. Go miles. Begin your own hosting company; make your own clients; package your own hosting plan and sell services like pro. The biggest benefit you will get for sure will be the cost efficiency. Means, you can purchase bandwidth, disk storage and other resources in small chunks rather spending huge. That will simply ensure great benefits immediately. With us, starting a web hosting business is getting easier like ever. Our Linux reseller hosting can run on any PC and is ideal for web designers, developers who wish to resell hosting services. Best for budding businesses who would like to become independent hosting provider with minimal investment. As soon you register for and purchase our reseller plan, you get your business run immediately with adequate server space, bandwidth and other incredible hosting features. Listed above are a few noteworthy features of our reseller Linux hosting plans. See the table above for features in detail or call our 24x7 hosting support for further queries.